Liner notes include programme note. Non-commercial recording - for study purposes only. Score: Xanadu : for piano quintet / William Holland. Parts: Xanadu : for piano quintet / William Holland. Score [ePDF]: Xanadu : for piano quintet [eScore] / William Holland. 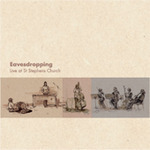 CD: Eavesdropping : Live at St Stephens / Sunwrae. 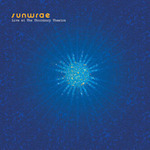 CD: Sunwrae live at the Thornbury Theatre.